Ryno Director Tim has been in the industry for 40+ years. 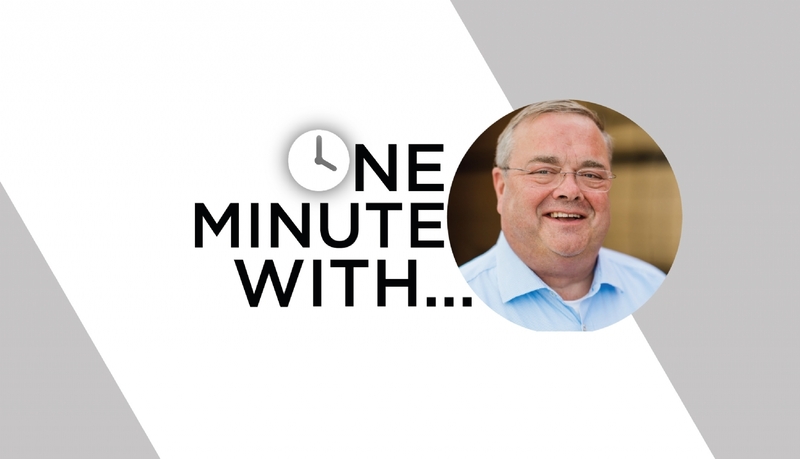 Get to know him a bit better in our latest 'One Minute With' blog. Beth: Hey Tim. You've been in the industry for a long time, but what was your first job and what did it involve? Tim: I started out when I was 17 working as Warehouse Assistant. Amongst other things, it involved sweeping the floors and driving the forklift, probably too fast! B: Boys and their toys! What's the best bit about working for a family company? T: For me it's hopefully being able to pass on a sustainable source of the employment for both the family and staff and helping them to take the company forward with a renewed sense of energy and passion. B: Hear hear. What's the best part of your working day? T: I really enjoy the cycle home on my e-bike! B: Ok, and what's fuelling the ride home? Do you prefer the 'boring, classic' sandwich or the boundary-pushing, flavour-sensation sandwich for lunch? T: Definitely the boring classics.. It's got to be either a BLT or ham & cheese, both on granary. B: Nothing wrong with the classics. What's the most memorable moment in your career? T: Wow. Very difficult to say after over 40 years, but moving from Surrey to NE Scotland in 2002 has to rank fairly near the top! Apart from that.. I actually used to have a HGV class 1 licence and would grab every opportunity to take an artic lorry of deliveries up and down the country. Some memorable drives, but those days are over now! B: Awesome stuff, thanks Tim.